It's not always clear where, when and how much to tip in Peru, especially if it's your first visit. And tipping isn't a big part of Peruvian culture, so it's just as easy to tip too much as it is to tip too little. Backpacker hostels tend to be tip-free establishments, so you'll rarely feel obliged to leave a tip. But if a staff member goes out of his way to help, then a tip is a perfect way to show your appreciation. Hotels in Peru follow the same tipping customs as found in many parts of the world. Tip porters S/.1 per bag (or US$1 in top-end hotels) and feel free to leave the cleaning staff an occasional tip for keeping your room in good order. If the hotel concierge or any other staff member is particularly helpful, a tip is always a nice gesture. 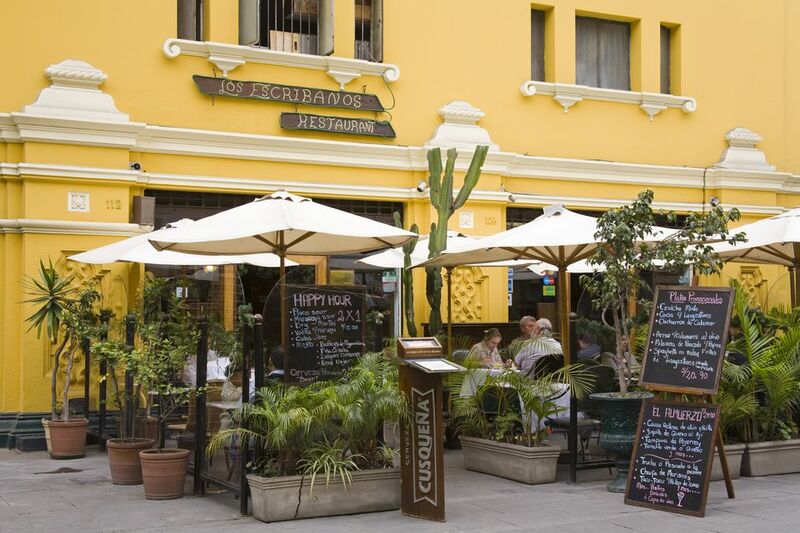 Peruvians aren't big tippers in restaurants, apart from in upscale establishments where a 10% tip is customary (a service charge is sometimes included in the bill). Waiters in midrange restaurants might receive a few soles for good service, but it's certainly not a hard and fast rule. Tipping is especially rare in cheap, family-run restaurants serving set lunchtime menús. That said, waiters in these cheaper restaurants earn very little, so all tips are more than welcome. As a rule, you don't need to tip when traveling by public transport in Peru. Taxi drivers and mototaxi drivers do not expect a tip, so arrange the price in advance and stick to it (taxi drivers tend to overcharge tourists anyway). If your driver is particularly friendly or informative, or if he carries your bags into your hotel or hostel, feel free to give him a S/.1 or S/.2 tip, but it's certainly not obligatory. You never need to tip bus drivers or bus baggage handlers. Baggage handlers sometimes try their luck with foreign tourists, asking for (or demanding) a tip. Feel free to say no, or ignore them completely if they become overly insistent. With private-hire drivers (including river travel), consider tipping anywhere between S/.10 and S/.30 per day for good service. Keep in mind that you might be expected to pay for your driver's meals, drinks, and accommodation during a long trip. When you take a tour, always take nuevo sol coins and low-denomination notes for tipping your guide. Deciding how much to tip is tricky. Much depends on the type of tour: a one-hour guided tour in a museum is a far different prospect than a multiday hike, with tips varying accordingly. For short tours of an hour or two, be they inside or outdoors, your guide should be happy with a few soles, perhaps in the range of S/.5 to S/.10. Again, it all depends on the level of service your guide provides. Multiday tours are more complex, especially when they involve tour guides, cooks, drivers, and porters. For good service, a typical tipping rate could be anywhere between US$10 to $30 per day, to be shared out between the various tour personnel. The four-day Inca Trail trek is a true classic among Peruvian tours and serves as a good example of trekking tipping rates in Peru (albeit at a higher, more touristy level). A tip request will sometimes come when you're not expecting it. This happens quite often in tourist hotspots such as Cusco, Arequipa, and Lima, where foreign tourists have a reputation for tipping beyond the norm. Photos: Some photo opportunities come at a price, especially in Cusco where women in traditional dress (often leading a lavishly adorned llama or alpaca) charge one or two soles for a picture. Always ask before taking someone's photo and bear in mind that a service charge/tip may be necessary. Directions: If you ask for directions while strolling around a town or city, a friendly local may offer to show you to your destination. There's always a chance that your informal guide will expect a tip (propina) upon arrival, so politely turn down the offer if you don't want (or need) the extra assistance.